There’s a study beckoning to be done: the impact of the Drummond Commission report on women. On this International Women’s Day we face an unprecedented attack on the public sector – a sector in which employment belongs 60 per cent to women. In health care, that number is even higher – 82 per cent. While there is much talk about sharing the pain from the last recession, the reality is those who rely the most upon public services and those who deliver them are really being asked to shoulder the cost. More often that not, these are women. Drummond Report: Will Ontario health professionals again be Alberta Bound? While the Drummond Commission talks about the need for recruitment and retention of health professionals and “leaders”, much of the rest of the Commission’s labour relations recommendations may send health professionals off in search of greener pastures. Drummond avoids the question as to what happens when Ontario brings down the austerity hammer while other provinces, such as Alberta, are rushing to enhance their health systems? Simple logic would suggest that doctors, nurses, lab techs, therapists and other professionals in high demand may all be learning the lyrics to Gordon Lightfoot’s “Alberta Bound” real soon. 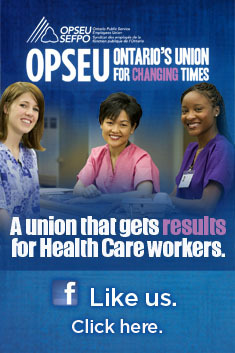 Is this where McGuinty really wants to go after creating HealthForce Ontario to plan HR needs? Drummond says wage freezes are ineffective because of the catch-up that follows, but recommends the government provide a zero budget increase for wage costs, forcing employers to find efficiencies to offset any settlements above zero. Drummond Report: Will Dalton McGuinty really implement this mess? Two days after the Drummond Report was publicly released it is fair to wonder what will actually be implemented for health care. After all, it is not Don Drummond running the province, but Dalton McGuinty. McGuinty is the master of building firewalls between his policies and the decision-makers at Queen’s Park. For example, how many times did we hear McGuinty and his MPPs suggest unpopular health care decisions were not theirs, but those of the Local Health Integration Networks? Now Don Drummond is the latest lightening rod that separates a long list of nasty trial balloons from the politicians who would like to see how much austerity the public will accept. The government treated the release of Drummond’s report much like it does the budget, locking up journalists and opposition politicians until the official release at 2:15 pm Wednesday. This is hardly standard protocol and suggests the government was taking the recommendations very seriously. Or was this just optics? How does Drummond decide which C-Sections are unnecessary? According to the Toronto Star, the Drummond Commission will recommend a major overhaul of our health care system, including delisting of certain procedures from OHIP coverage while reducing the incidence of others. This is a turnaround from Drummond’s earlier insistence that he wasn’t for U.S.-style privatization. If a service is delisted from OHIP, it becomes totally privatized. There will likely be considerable debate over these procedures, given it is economist Don Drummond, and not the Ontario Medical Association, that is deciding which have value, and which don’t. And just because it is not covered, that doesn’t mean a procedure won’t be performed if someone has sufficient cash to make it happen.